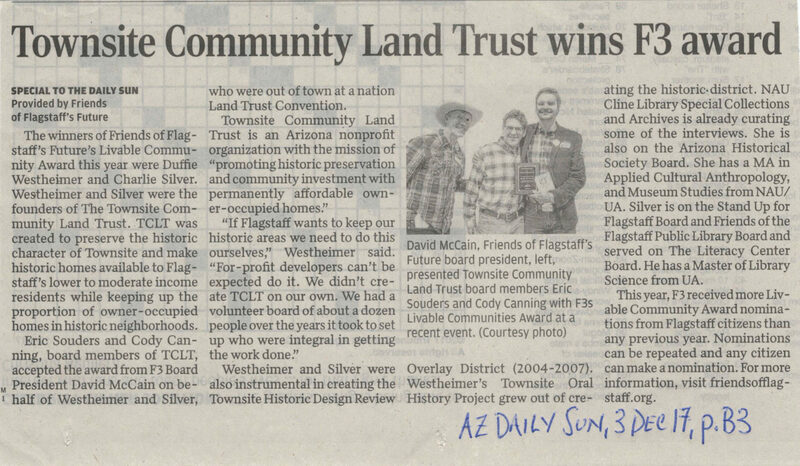 Through a generous donation, TCLT acquired four fully renovated homes. These homes are on the SE corner of W. Aspen Ave. and N. Bonito St. in the Townsite neighborhood west of downtown Flagstaff. Each project will be different, and the 4 Square homes are special in that although each home has a private yard, the 4-foot fences allow most everyone to see over. This creates a community feel in the back where the home owners share a garden area, patio and storage building. 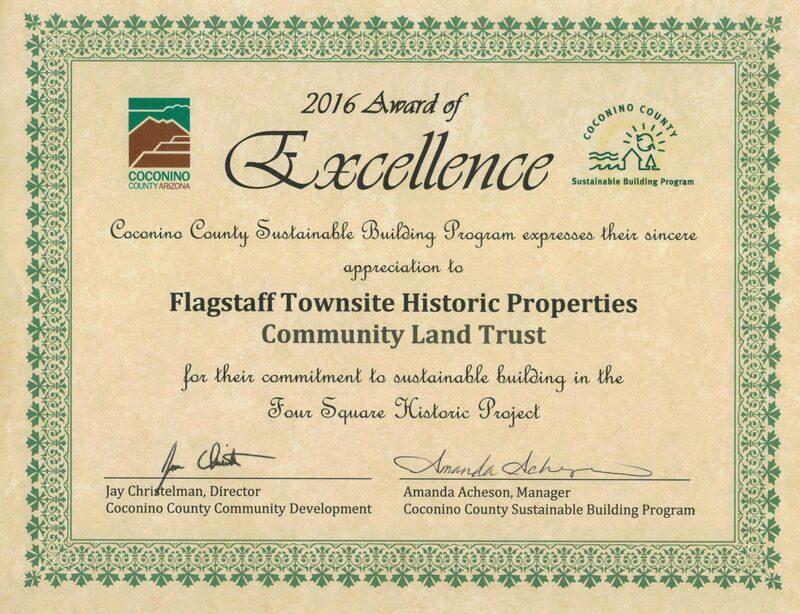 The 4 Square houses were awarded Advanced Plus ratings by the Coconino County Sustainable Building Program. It is important to Townsite CLT that our homes are energy efficient. During rehab is the time to make the structural changes. Also, the home owners will benefit from lower utility bills. 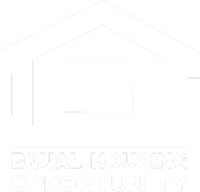 This is one strategy Townsite CLT has for our home owners to save and grow their money–outside of their home ownership.